I love French food. There's something about the sound of the words that makes everything sound fancy...and delicious. 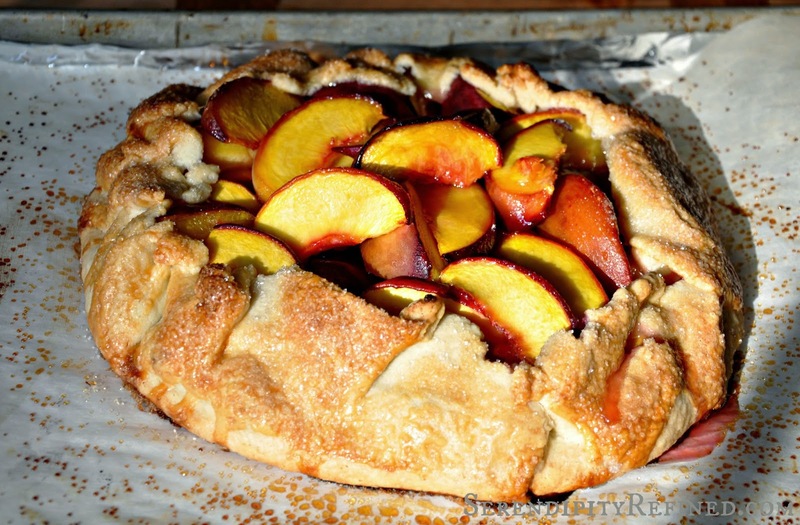 Take for example, today's recipe: Peach Galette. It's made with Pate Brisee. Yep...it's French. Doesn't it sound fancy and like it would take some special culinary skill to make it? Well, it 's not...and it doesn't. I'm a sucker for pretty much everything in French. 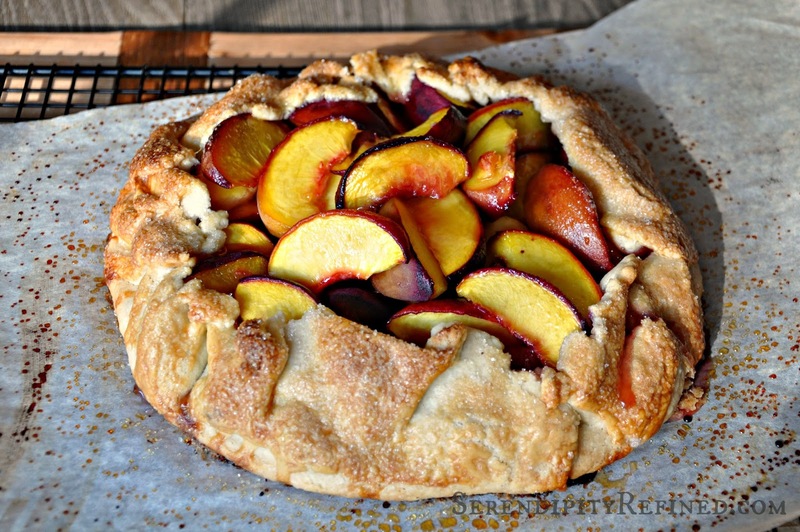 Roughly translated, Peach Galette made with Pate Brisse means "flat, round, pastry" (tart) made with a crust that doesn't contain a leavening agent. This tart is very simple. It's the type of thing that takes virtually no time to assemble (other than the crust which takes an hour to chill). 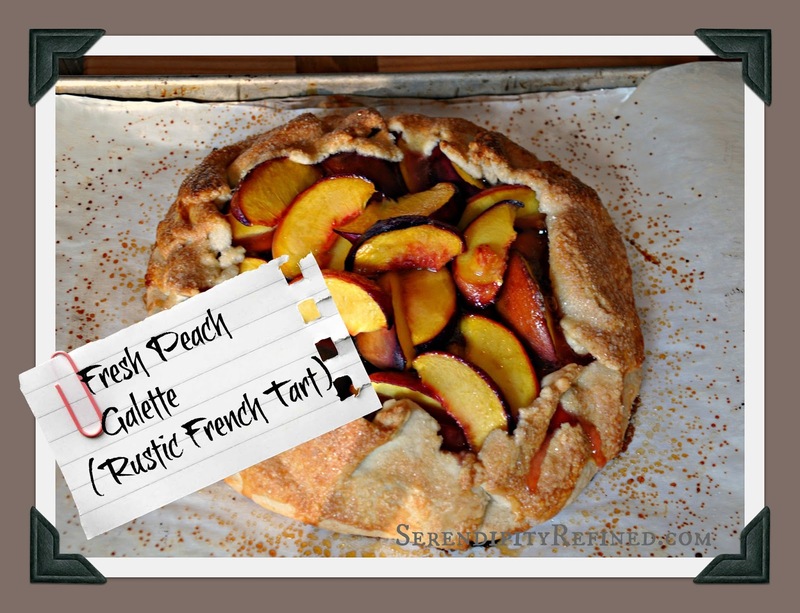 Now that peaches are in season, I decided that this galette was the perfect "Happy first day of your career" (my oldest, Monday) and "Good luck at college" (my youngest, TODAY) dessert after dinner on Monday evening. 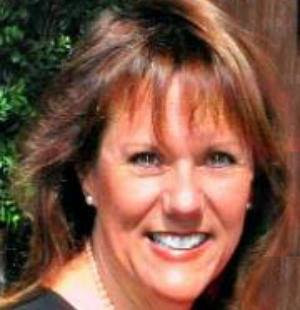 The recipe originally came from Martha Stewart and there are great directions on her site. 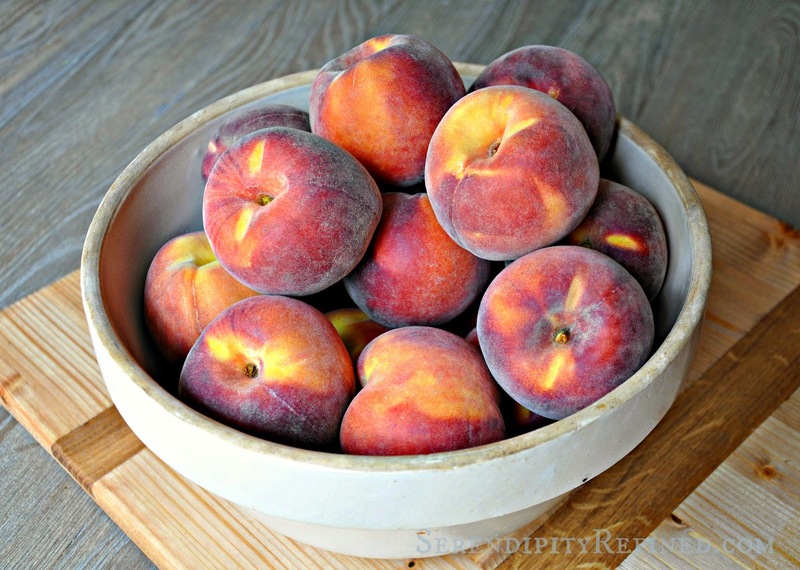 I adjusted the recipe very slightly because my peaches are usually a little smaller and not always completely ripe but her recipe works perfectly if you have beautiful, ripe peaches. Trust me, this is not a typical "Martha" recipe where you have to dirty half of the bowls in your kitchen and other than a food processor for the dough, (unless you like to make it by hand in a bowl with a pastry cutter which I do and no, this is is not because I haven't seen my food processor since last July when we moved. I promise.) there are no other fancy utensils or electric gadgets necessary. I wouldn't lie to you. A couple of bowls and a few simple kitchen items like a knife and a spoon and a measuring cup..that's it. Someday, I'll share Martha's (and my) pot pie recipe with you. It won't be any time soon, however because I'll need to find the box with the rest of my mixing bowls and small kitchen appliances before I do! Sanding sugar (or Turbinado sugar) for dusting. I suppose that technically this is optional but to me, it's a part of the rustic appeal of the dish. In a large bowl, mix together the first five ingredients above. 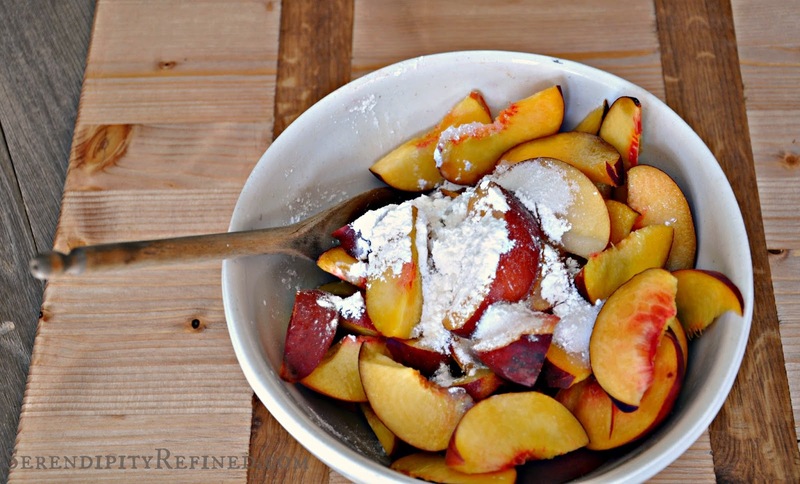 If your peaches are firm, allow the fruit to macerate while you prepare the crust. Line a rimmed baking sheet with foil and then with parchment. Note: Do not skip this step, you'll have a burned on, sugary, mess that you'll spend hours trying to remove and a tart that is stuck like glue to your baking sheet making it impossible to serve unless your guests are okay with just taking a fork and scraping it off of the pan. (This is not an issue for 3/4 of my family). 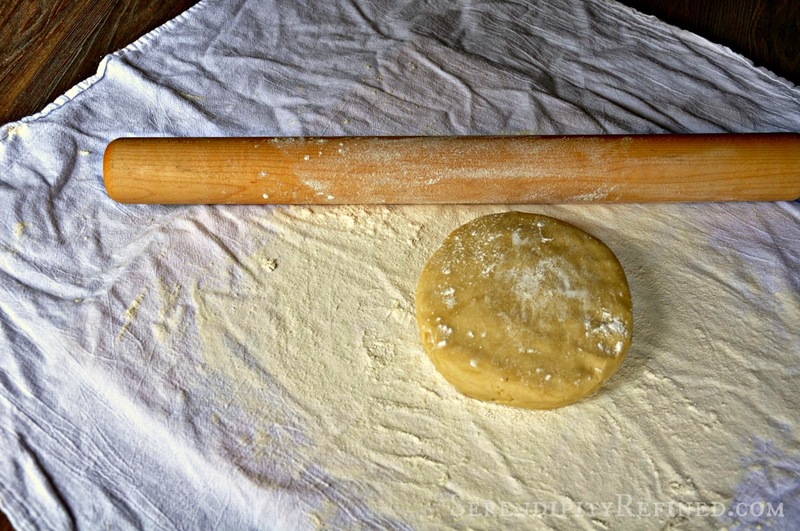 Flour your work surface and roll out the pate brisee into a 13 inch round circle and place it on the parchment in the pan. 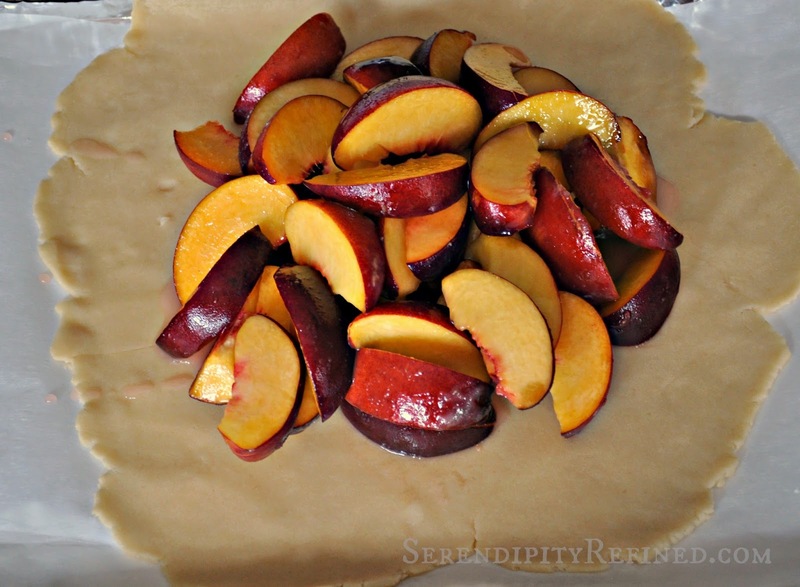 Arrange the fruit in the center of the pastry leaving about two inches all the way around. 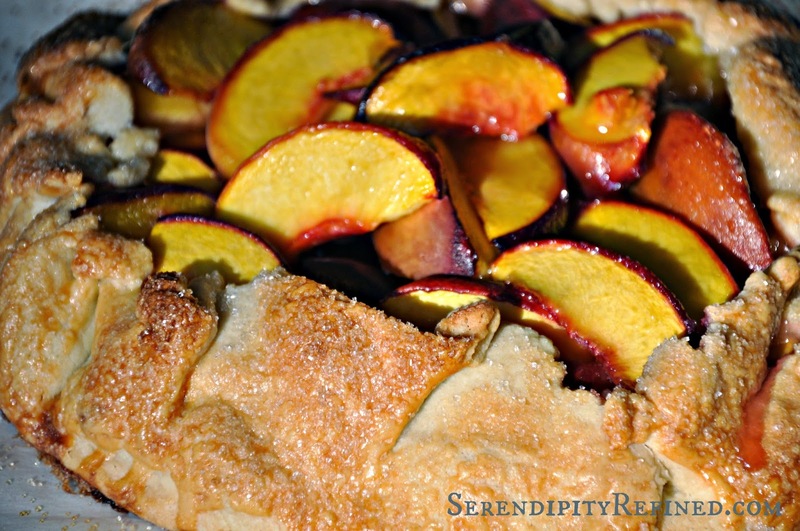 Loosely gather up the crust around the edge leaving the center open. Brush the edges of the pastry with the egg and dust with sugar. 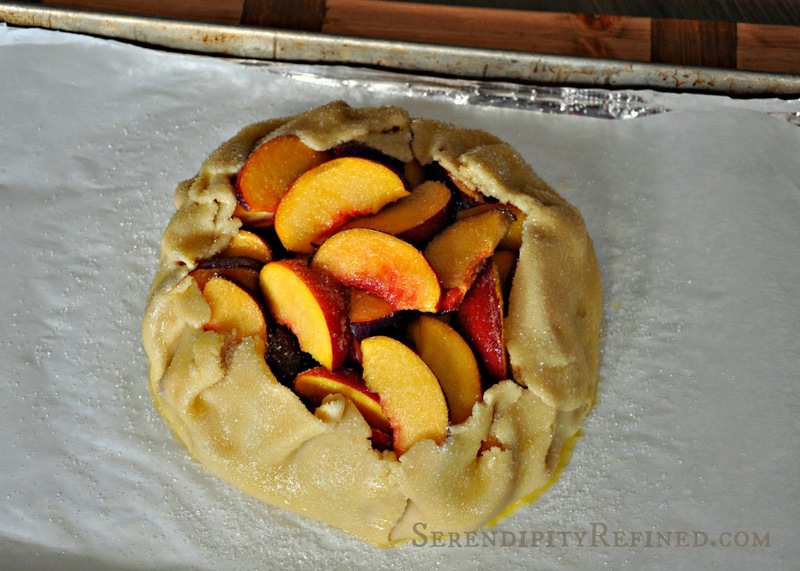 Cool on the baking sheet for 10 minutes then place the parchment and galette on a rack to cool to nearly room temperature. Cut, add whipped cream or ice cream, and serve. For those of you still reading the Pate Brisee recipe is HERE I follow it to the letter but I mix it by hand and I never allow it to chill for more than an hour. Whew...that's a lot of information. I always wonder if anyone actually tries these recipes so, if you do, please, let me know what you think! 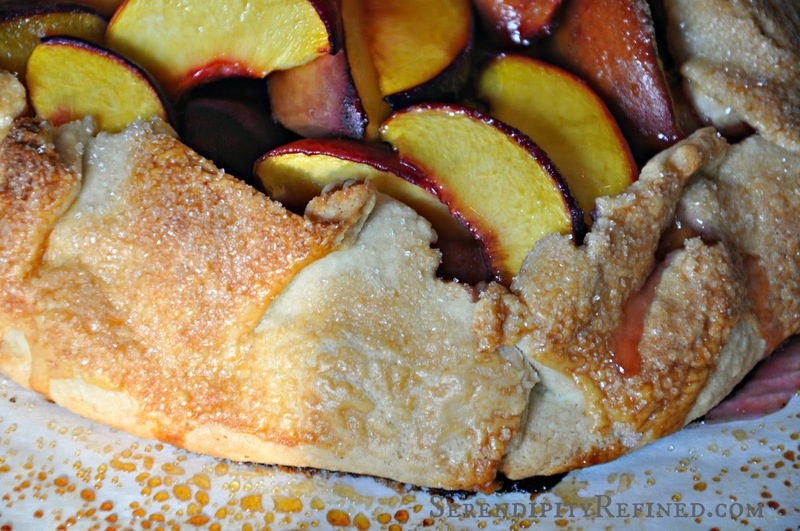 Rustic French Peach Galette (or Fresh Peach Tart) is a perfect dessert for the final weeks of summer. 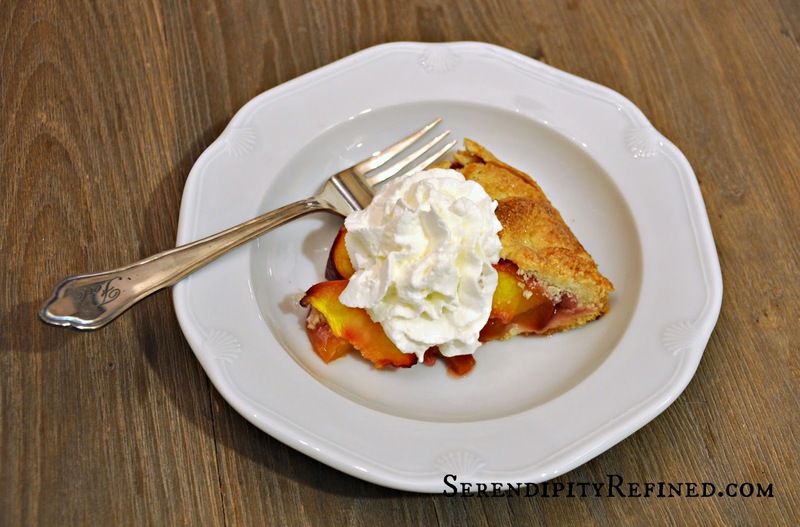 It's easy to make, beautiful to serve, and with a name like "Galette" who could possibly resist! ?